Timothy Powell, a.k.a. 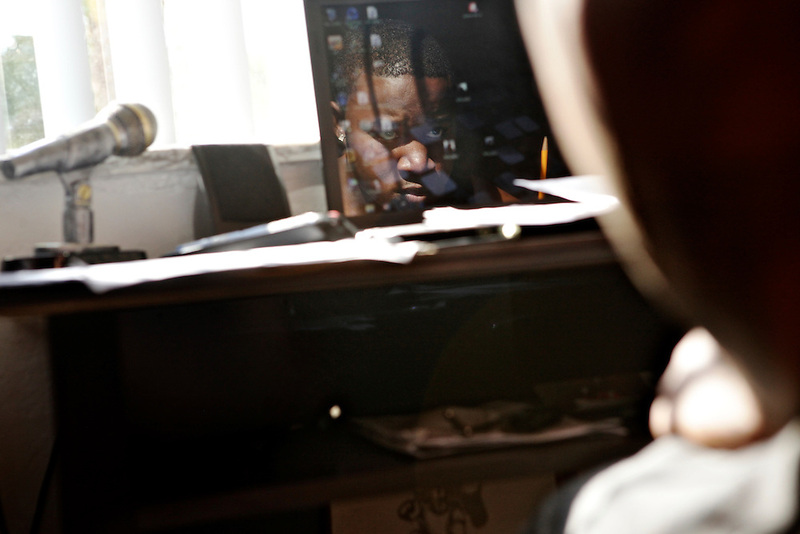 TimWes, looks at his own reflection in the computer as he works on music at his home in Fort Myers. TimWes didn't ever think about becoming a rapper until a friend told him he should try it. "The most important part to me, truthfully ? and most people probably don't wanna hear this ? first thing first, it's about the money to me. If I didn't know there was a million dollars at the end of this tunnel, I probably wouldn't pursue it as much as I'm pursuing it."